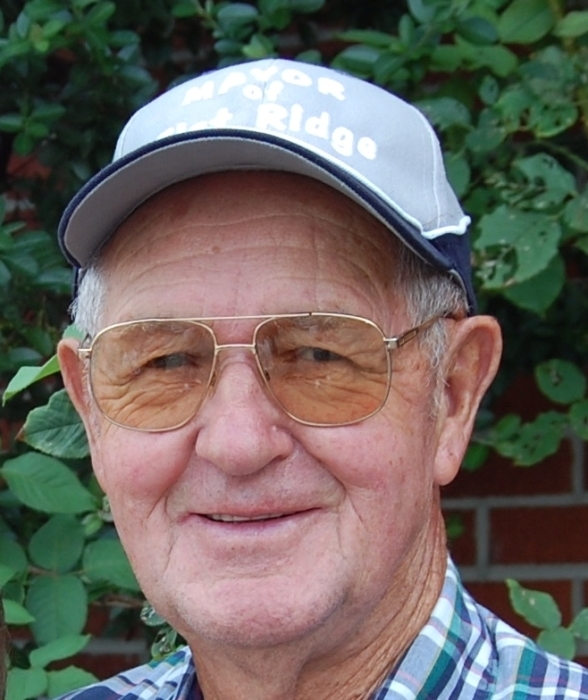 Troutdale, VA - Donald Gene Parks (aka “Mayor of Flat Ridge”), age 90, passed away Sunday, November 4, 2018, at Kate B. Reynolds Hospice Home. Donald was born on March 9, 1928 in Grayson County, VA to Carl Ray and Lavern Cornett Parks. He grew up in the Flat Ridge Community, where all of his neighbors were very special to him. He retired from McLean Trucking after 31 years of service. Donald was an avid Rook player and deer hunter. He loved being outdoors and working in the yard, with weed-eating being one of his favorite outdoor tasks! In addition to his parents, Donald was preceded in death by his sister, Velma Cornett; and brother, Gerald Parks. Surviving are his daughter, Dona Martin (Terry); his son, Greg Parks (Sharon); five grandchildren, Clint Queen (Kristy), Erin Whitaker (Brian), Hannah Wyatt (James), Katie Matthews (Cody), and Brandi Stone (Jordan); and six great grandchildren. A graveside service will be held at 11:00 a.m. Monday, November 12, 2018 at Bald Rock Cemetery in Flat Ridge, VA. Hayworth-Miller Kernersville Chapel is assisting the family. The family extends heartfelt thanks and appreciation to Fred & Deanna Jones, Tammy Roberts, Steven Kepley, Tim Whicker, Stephen Cornett, Pam Parks & J.C., Hannah Wyatt, and Freda Keesling, for all their loving care they have shown the Parks Family during Donald’s illness. Memorials may be made to Elk Creek Rescue Squad, P O Box 130, Elk Creek, VA 24326, or Trellis Supportive Care, 101 Hospice Lane, Winston-Salem, NC 27103.